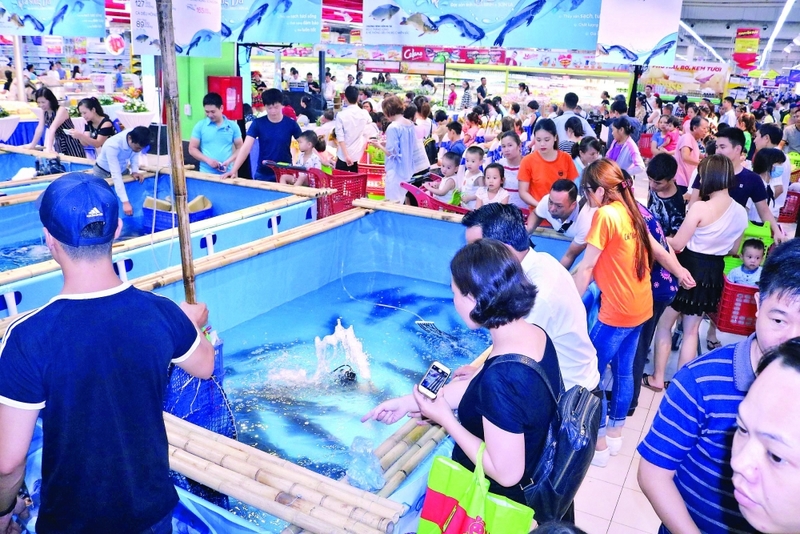 (VEN) - Activities designed to strengthen supply-demand connections between Hanoi and various provinces have contributed to stabilizing the market, establishing domestic supply chains, promoting sales and boosting socioeconomic development. Hanoi has a large retail network with 22 trade centers, 132 supermarkets, 454 markets, nearly 1,000 convenience stores, 766 safe fruit shops, and over 65 safe agricultural production chains. Hanoi was ranked 13th on the list of the 19 most crowded retail markets in the world, and was listed among the top three cities with the most vibrant retail market in the Asia-Pacific region. The capital city has suitable conditions in terms of infrastructure, information technology, human resources and financial capacity for modern trade development, meeting the trend of e-commerce accelerated by the fourth industrial revolution. 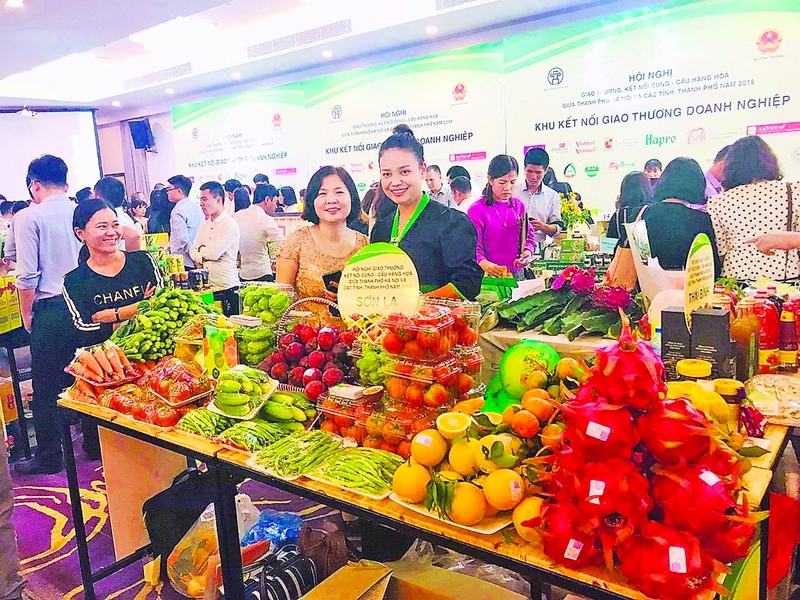 In response to the Buy Vietnamese Goods campaign, Hanoi has implemented cooperation programs and connection activities, and signed some 1,000 memorandums of understanding with more than 50 provinces and cities nationwide on goods supply and distribution. Trade promotion activities and goods supply-demand connection programs between Hanoi and the provinces of Son La, Bac Giang, Hai Duong, Lao Cai, Phu Tho, Lang Son, Lam Dong, Hoa Binh, Bac Kan, Hung Yen, Ha Giang, Tra Vinh and Dong Thap have provided opportunities for businesses to promote sales and expand markets. 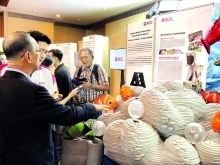 Tran Thi Phuong Lan, deputy director of the Hanoi Department of Industry and Trade, said the city has taken the initiative in linking production and promoting development of supply chains of agro-forestry-fishery products with provinces and cities. 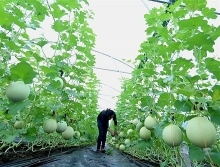 Hanoi has created favorable conditions for the distribution of many agricultural products and local specialties, such as fruits and vegetables, pork, chicken, and seafood. Recognizing Hanoi’s efforts in goods supply-demand connections and market stabilization, Deputy Minister of Industry and Trade Do Thang Hai said the city is a pioneer in encouraging businesses to participate in ministry programs, such as the Vietnamese Goods Week in foreign supermarkets like Thailand’s Central Group, Japan’s AEON, Korea’s Lotte Mart, Italy’s Coop Italia, and France’s Casino. 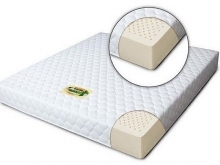 In addition to the achievements, supply-demand connection has revealed some limitations in finding suppliers, especially ones that can provide large quantities of assured quality. Businesses are facing difficulties in bringing goods into modern distribution systems, especially small and medium-sized enterprises and farming households, because they have not promoted branding, and have not met quantity, quality, and safety standards. In addition, the oversupply of some goods in the capital city has resulted in price drops. Nonetheless, the domestic market has become the basis for sustainable economic development, contributing 14-15 percent to the gross domestic product (GDP) and creating 6-7 million jobs. Total retail sales of consumer goods and services are constantly increasing at a higher rate than the overall economic growth, proving the great potential of the domestic market, the business sector, and the competitiveness of goods. Nguyen Doan Toan, deputy chair of the Hanoi People’s Committee, said that to achieve better results in goods supply-demand connections, businesses should produce and supply goods according to market demand, promote the development of VietGAP, GlobalGAP, and HACCP-certified production chains, and standardize production processes for chains to create high-quality products. connection conferences and activities, and 18 weeks of fresh fruits and agricultural products.